Posted by Tantumblogo in awesomeness, Basics, catachesis, Ecumenism, episcopate, error, General Catholic, Glory, Grace, history, Liturgical Year, Papa, Tradition, Virtue. O ruler of orthodoxy, teacher of religion and holiness, light of the whole earth, divinely inspired glory of true believers, wise Leo! Thou enlightenest all men by thy teachings, O harp of the Holy Ghost! Heir of the See of Peter, the Prince of the Apostles, thou didst preside over the Church: thou hadst his spirit and wast inflamed with zeal for the Faith. Beaming with a most bright light, thou, O holy Leo, didst admirably preach the ineffable and divine Incarnation, teaching the two natures, and the two wills of the Incarnate God. Resplendent with the knowledge of divine truths, thou didst scatter on all sides the brightness of orthodoxy, and dispel the darkness of heresy. Departing this life, thou, O blessed one! now dwellest in the light that knows no setting. O inspired minister of God’s mysteries, thou didst admirably preach that Christ is the Only Son and Lord, begotten of the Father before all ages, born for us of the Virgin, and dwelling on earth like unto us. Seated with glory upon the throne of the pontificate, thou didst stop the mouths of lions, and madest to shine upon they flock the light of the knowledge of God, by proclaiming the divine dogma of the adorable Trinity. 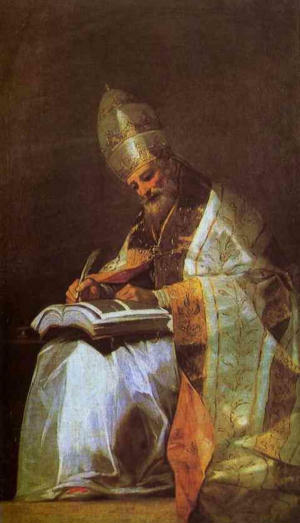 Therefore hast thou been glorified as a holy Pontiff initiated in the Grace of God. Thou, as a dazzling sun, didst rise in the West and wisely dispel the error of Eutyches, who mingled and confused the two natures, and that of Nestorius, who divided tehm as though they were tow Persons. Thou taughtest us to adore one Christ in two natures, inseparably, unchangeably, unconfusedly, united. Inspired of God, thou didst appear to the people of God as another Moses, showing them the Commandments of religion written, as it were, on tables……. It goes on for some time with such effusive praise. I’d say several of the bits highlighted above, if not conclusive, argue very strongly for an acceptance of the Papal primacy by the Greek Church, and on terms that are pretty close to what the Church believes. 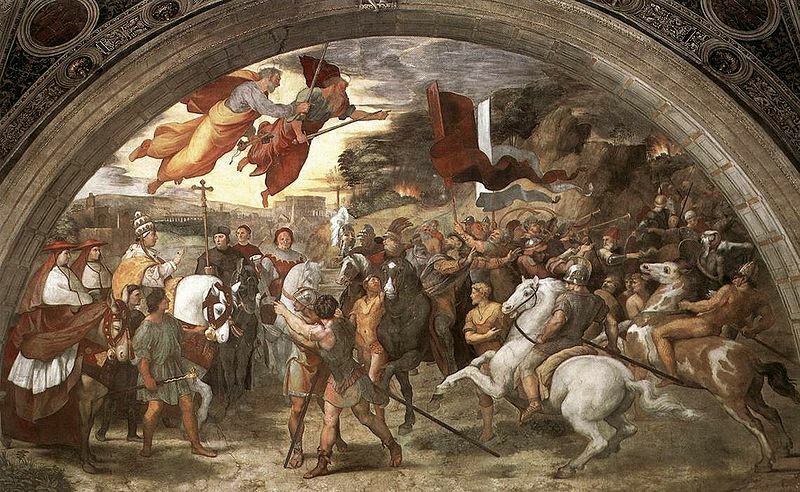 As such, it seems pretty damning evidence that, as Dom Gueranger claimed, it was not the Latin Church, but the Greek Church which changed its belief regarding the Primacy of the See of Peter. “Presiding over the Church” could be a statement open to some interpretation, but it would seem difficult to conflate that with the mere “first among equals” approach the Eastern Orthodox have argued for the past 1000 years. Presiding seems to imply more than a mere “first in honors” position that would leave the Sovereign Pontiff an equal with the other ancient sees, at least, if not the thousands of bishops around the world. Presiding strongly implies governing, but, perhaps the translation is debatable. What of the claim that he was inspired of God? Is that significant? I guess any Saint or holy bishop could be inspired of God, but again, there is a reference to such a universal teaching and governing office (that of Moses, the clear leader of the Jewish nation and religion) that this seems a pretty strong endorsement of Papal primacy. 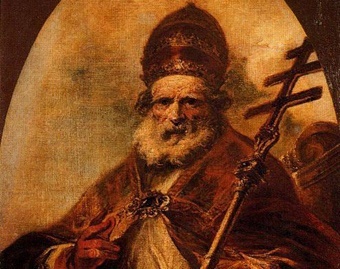 Moses was the leader of his Church, and claiming that Leo was “another Moses” suggests powerfully to me that he was viewed as the sole leader of the Universal Church, heir to the office Moses first undertook. I used to discuss to no avail Papal Primacy with various Ruthenian and Melkite Catholics who had thrown in with the Zoghby Initiative/I-am-Orthodox-In-Communion-With-Rome movement. various Ecumenical Councils, Purgatory and additional Catholic teachings. They also rejected, of course, the belief that the Catholic Church is the One True Church. The Ecumenical Movement, or at least a certain interpretation of said movement, has unleashed its share of destruction within Eastern Catholicism. Primacy yes, Universal NO. Of course, all the Orthodox recognize the primacy of the Roman Bishopric but there are OTHER Apostolic sees in the East. There is only One Apostolic See in the West, there are three in the East. 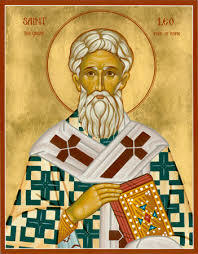 Alexandria, Antioch and Byzantium, (Transferred from Ephesus). The Roman Pontiff was never universal. Just like the Roman Empire when any Roman citizen can appeal to the Roman Emperor, so to can any Christian appeal to the Roman Bishop but that doesn’t mean Universal jurisdiction. Jesus prayed for Unity of the Church. 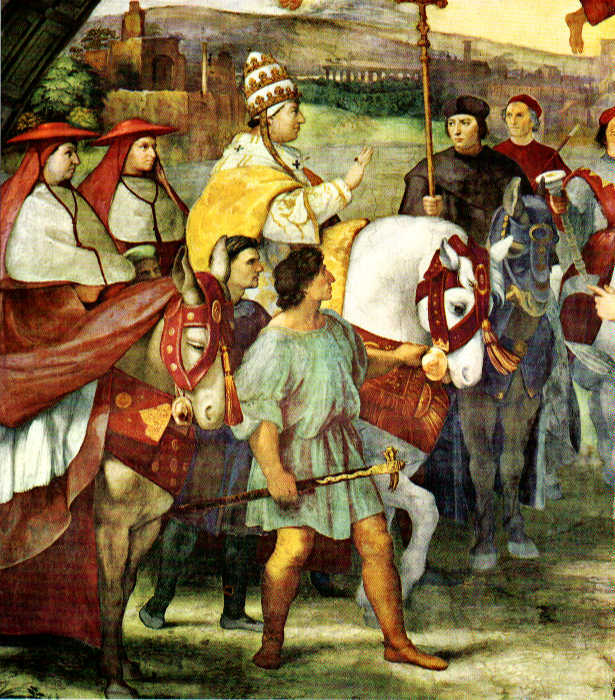 The Papal Legate in 1054 had no authority or standing to excommunicate the Orthodox. He did on his own because they offended him personally, not doctrinally. There is just as much salvation in the Orthodox Churches. What has happened is that the Latin Church is breaking unity by going off by itself without appealing to Ecumenical Councils. I just point to the pride and the arrogance of the Roman See and the Catholic tendency to take everything to an extreme. We need to bring back and work for the Unity of the Church as Christ asked. Who would want to be in union with the heretical bunch occupying Modernist Rome? These arguments had some meaning prior to Vatican II but since those heady days it is really difficult to find anything Catholic that is still in Rome. Tragically the world will roll on till the long prophesied Chastisement following which we will see the then 100 year-old prophecy of the Collegial Consecration of Russia to the Immaculate Heart of Mary fulfilled. I have to take exception to this. Yes the leadership of the Church these past decades has often been deplorable, even deranged, but we still must pray for the conversion of those outside Her embrace. Your stance confuses me, you mention Our Lady’s great prophecy and command at Fatima, a command that has still not been rightly obeyed (and a prophecy recognized principally by Catholics , but then you speak as if you view yourself outside the Church of which She is the Queen. Even if the Church leadership has badly failed us for decades, we still must visibly profess membership in the Church and desire for others to share it, as well. I don’t think we can claim hard separation from “modernist Rome” and still claim recognition of the Sovereign Pontiff and communion with the Church. It IS a very complex subject and relationship, the Church is certainly more than the Pope and Church administration in Rome, but at the same time, when I see someone speak as you did, I get the impression they are declaring themselves outside the Church. I am not one who declares the SSPX “protestant,” but I do see attitudes sometimes that do drift a bit in that direction. Reblogged this on Answering Protestants.